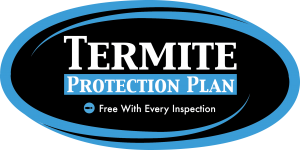 D. Michael Green is a licensed Pest Control Operator and provides a full line of pest control services through his company InspectorUSA Termite and Pest Control. Having a Move In Certified pre-listing inspection conducted prior to putting your home on the real estate market gives you a huge advantage by discovering any issues before the buyer’s inspector does. Once you have this knowledge, you can choose whether to repair or replace the deficiency or disclose it to buyer’s which will leave less room for them to try negotiating with you. 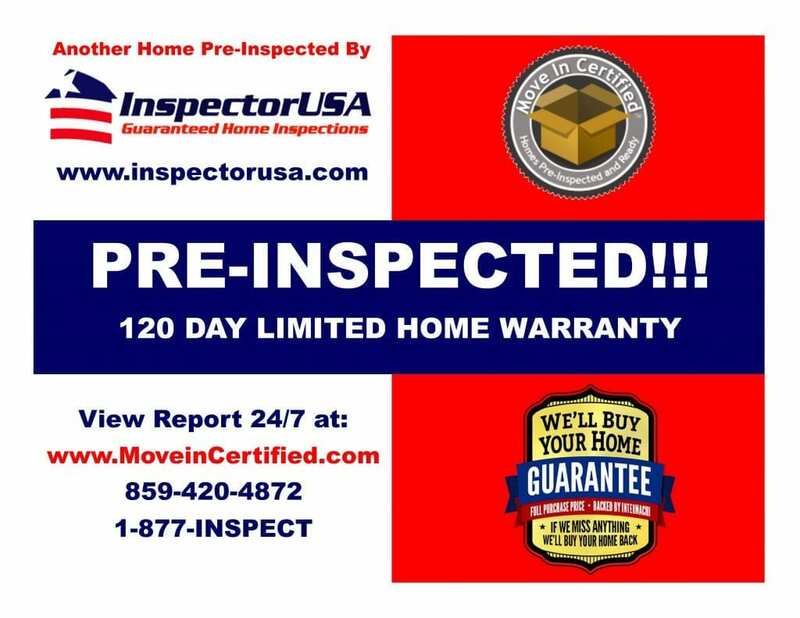 Move In Certified is an inspection service designed specifically to help sell a property and is no different than a buyer’s inspection report. Sellers can schedule the inspection at their convenience with little effort on the part of the agent and can assist inspectors during the inspection. Something not normally done during a buyer’s inspection. The report helps the seller see their home through the eyes of a critical third party, thus making the seller more realistic about the asking price or make repairs beforehand. 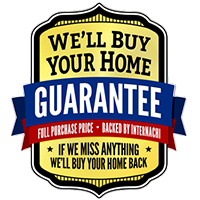 This service includes 120 Day Limited Home Warranty, the InterNACHI Home BuyBack Guarantee, and the InspectorUSA 90 Day $1000 Service Guarantee. This service also includes FREE termite and structural infestation inspections and certifications. We not only inspect residences, we inspect commercial buildings as well. We follow InterNACHI’s Standards of Practice for Inspecting Commercial Properties. Our commercial property inspections will enhance your knowledge of the condition of the property to improve decision-making regarding transactions, maintenance, and improvements. It is advised to have a certified home inspector to perform regular home maintenance inspections so that maintenance necessities don’t pass you by resulting in expensive and urgent repairs. 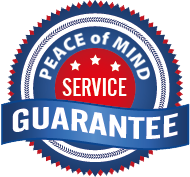 We will inspect the elements of your home and advise upon any maintenance they need, as well as offer useful tips. Nothing is perfect, even new construction! Before moving into a brand new home, bring us in to inspect it while the components are still accessible and not covered up and blocked by your furniture. It is best to address any issues while the home is still brand new, instead of them surfacing down the road and becoming more costly. 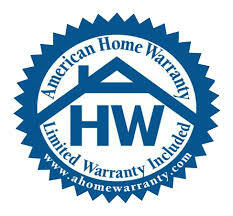 When you buy a newly constructed home, normally the builder will offer a 1 year warranty. If there are any problems, you need to know about them before the year is up for the warranty to cover them, so hire us in the 11th month to conduct a Builder’s Warranty Inspection. We inspect separate buildings such as detached garages and outbuildings following the InterNACHI Standards of Practice. Add this service on to your Home Inspection. As a landlord, it is common to have tenants moving in and out of your properties often. Make sure you know the status of the property from tenant to tenant or else necessary repairs can pass you by and turn into a money-pit. If you are a lender for a construction project, you need to be sure that everything is on the right track and time schedule, and that the work being done is quality before you loan more money. During our loan draw inspections, we will inspect during different phases of the project so that you can stay updated on the progress. This assessment investigates current and previous uses of a property with a focus on potential soil contamination. We combine a visual inspection with research of public and federal database information and then document the results of the assessment. Investing in parcel of multiple properties? We offer Property Condition Assessments for situations exactly like these, when you don’t need a full blown inspection on each property, but want a certified professional to conduct a walkthrough on each and provide a summary report of the overall conditions. Designed to assist homeowners in preparing their home to go on the market. Benefits include a very affordable full state standard home inspection that is completed by a fully licensed and certified home inspector. You will receive a written report completed and delivered on-site with an on-site inspector consultation. This inspection can help to reveal issues allowing for correction or advance disclosure. Replacing a septic system is very costly, so it is wise to have it inspected yearly to make sure that any small issues don’t go unnoticed and become big, expensive issues. It is recommended to have your septic system inspected yearly. If you have a mold problem, it is important to know about it so you can take action. It is a serious health hazard to your family, so it’s a good idea to have us conduct a mold inspection. It is essential to know if there are elevated radon levels in a building by having a radon test. Radon is odorless and invisible but can be very harmful to your health. Fortunately, mitigation measures are available if elevated levels are detected. You drink the water from your home every day, so it is important to know what that water contains. We will test your drinking water source for contaminants and chemicals so that you can achieve peace of mind about what you are putting in your body. Contact InspectorUSA today to request one or more of our inspection services, or to discuss your inspection needs!